Her reputation precedes her as a trailblazer who is never willing to compromise. Susan Talbott’s drive, ingenuity and tireless desire to use her know-how to help others is what prompted her to establish Pinnacle Financial Advisors with colleague Lennard van der Feltz. With a background as a Certified Public Accountant, Susan’s career spans more than three decades, most of which has zeroed in on financial planning. 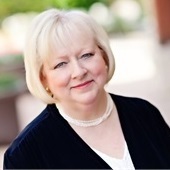 While her extensive experience rests in handling tax issues, business succession planning, and estate planning, Susan’s razor-sharp financial expertise, combined with an innate ability to bringing order and structure to even the most complex financial planning activities allows her to approach financial planning holistically. Pinnacle Financial Advisors is rooted in trust, transparency and a client-first approach. Although financial planning and wealth management can be cumbersome and at times seems overwhelming, Susan’s approach is ingrained in building close, long-term relationships with clients. The trust that comes from these relationships provides the foundation necessary to build a customized financial roadmap that the client is comfortable embarking upon. She has an innate talent to use education to instill confidence in everyone from beginning investors to savvy business owners. Her first taste of financial planning came from her work at Thrivent Financial, a financial services provider. Armed with her impressive array of advanced education, professional credentials, experience, and organizational skills, she saw the potential opportunity to help clients navigate the complex world of planning and wealth management. This philosophy led to the creation of Pinnacle Financial Advisors, which brings together a talented multi-disciplinary team of financial experts who deliver unrivaled value and results to individuals, families, and businesses. Susan’s aptitude for finance has always been evident, and so too is her ability to connect with clients and distill their goals. Susan started her career in commodities, but quickly realized that finance was her niche. Earning her degree in accounting and studying for her Certified Public Accountant exam, Susan began consulting for small businesses, primarily setting up companies, defining controls, and working on all the nuts and bolts to set themselves up for success. She joined TEAMS International (Team Evaluation and Management Systems), the developer of 360-degree job evaluation processes, where she initially served as Controller, and worked her way up to Chief Financial Officer. She broadened her role by starting KnowledgeTrax, a business development planning and technology consulting firm with Lennard, whom she met at TEAMS. With a commitment to higher education and a passion for the financial industry, Susan is an active member of the American Institute of Certified Public Accountants and the Arizona Society of Certified Public Accountants, and holds various professional designations including Certified Public Accountant, Personal Financial Specialist, Chartered Financial Consultant®, and Chartered Advisor for Senior Living®. She also holds her FINRA Series 6, 7, 63 and 66 securities licenses, and holds Life and Health Insurance and Variable Life and Variable Annuity licenses in Arizona, California, Kansas, Minnesota, Oregon, Texas, and Wisconsin. Susan earned her Master of Science in Financial Services in Advanced Financial Planning from The American College in Pennsylvania. She also holds a Bachelor of Arts in Accounting from Metropolitan State University in Minnesota and a Bachelor of Special Studies in Psychology/Sociology from Cornell College in Iowa. In her free time, Susan enjoys traveling, reading, and wine-tasting with family and friends. She also has a knack for business management and, in addition to Pinnacle, is actively involved in various small businesses.